February 27, 2017Introducing your new brand with email marketing. Central Sydney Meetup: Email Marketing. Andrew Beeston from Clicky! speaks about email marketing. Stuff I make up as I go. Hi, I'm Andrew Beeston - apart from my day job I'm currently thinking about email marketing in the travel and tourism industry. To help me create new ideas and engage in the practice of my profession, I write something fresh every day about email marketing, and observations of emails in my inbox. It's an iterative process and I often revise posts after they've been posted. I'd love to hear from you if you have any reaction to anything I post here. 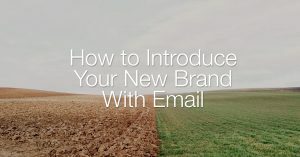 Introducing your new brand with email marketing. © 2019 Andrew Beeston | Stuff I make up as I go.